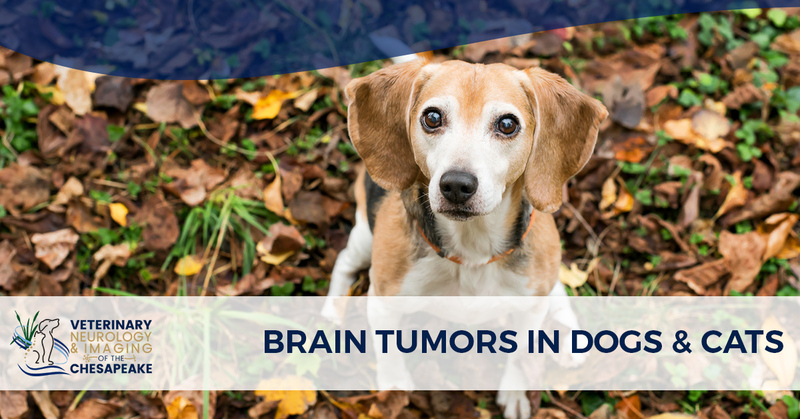 The diagnosis of brain tumor in a much-loved dog or cat can be overwhelming for an owner—and it can be a great concern for the family’s veterinarian who typically doesn’t see this type of condition frequently. The one thing we try to stress to both is: The diagnosis of brain tumor does not mean that the situation is hopeless. In fact, it is curable in many cases. Some of the most rewarding cases we’ve seen are dogs and cats that are 5 years post-surgery with no disease recurrence. In this article, we’ll look at which animals are more prone to brain tumors, the common symptoms and types of tumors, and their diagnosis. Next month, we’ll review treatment options and outcomes. Brain tumors are a common cause of neurological dysfunction in older dogs and cats. The average age when the animal presents symptoms is 9-11 years in dogs and 10-12 in cats. Golden Retrievers, mixed breeds, Labrador Retrievers, Boxers, Boston Terriers and domestic short hair cats have the highest incidence of brain tumors, although it’s not known why. There is no difference in incidence in males versus females. In both dogs and cats, symptoms most often associated with brain tumors are personality changes (not playing, altered appetite, sleeping, hiding, a loving dog becomes aggressive or a normally grumpy cat becomes friendly), seizures, weakness or lack of coordination in the limbs, abnormal eye/facial symmetry and vision loss or change. Overall, seizures are a more common sign of a brain tumor in dogs, while behavior change is more common in cats. Typically these symptoms have a sudden onset and grow worse over time. To understand why, we need to examine the nature of these tumors. The most common brain tumors are meningiomas, gliomas, choroid plexus papillomas, pituitary tumors, medulloblastoma and metastatic tumors. The first two, meningiomas and gliomas, comprise the majority of brain tumors in dogs and cats. These are typically cytologically benign but biologically malignant—i.e., while the tumor is benign, it is in a terrible place. These two types of tumors do not metastasize locally or distally (from the original/primary tumor to distant organs or distant lymph nodes). However, because the brain is contained in a relatively inelastic skull, the growth of the tumor can have a significant effect on the animal’s neurological status. What symptoms are seen depend mainly on the tumor’s size, rate of growth and its location in the brain. Since the body often compensates initially for the changes caused by the tumor growth, the signs of the brain tumor can be masked until the mass is quite large. When the symptoms do appear, they are often dramatic and can be catastrophic. Dogs older than 5 years at the time of an initial seizure should be evaluated for brain tumors with a thorough neurological examination and related testing. Once metabolic and inflammatory causes have been ruled out, the work-up for seizures in cats of any age should include neuroimaging. In dogs and cats with clinical signs of cervical spinal hyperpathia (a heightened reaction of pain to palpation that would normally be somewhat painful) and forebrain dysfunction (behavioral or vision changes, for example), an intracranial cause such as a brain tumor should be suspected. 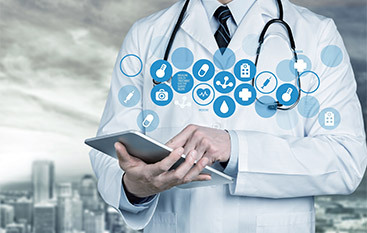 Our greatest tool in making a diagnosis, as well as determining treatment options and prognosis, is the MRI (magnetic resonance imaging) and, to a lesser degree, CT (computed tomography). The gold standard of inter-cranial workup is a brain MRI with collection and analysis of cerebrospinal fluid (CSF)—i.e., a spinal tap. However, a full work-up should be done prior to the MRI; at a minimum, this should include CBC (complete blood count), chemistry profile, thyroid, urinalysis and metastatic chest series. Other testing, such as specific endocrine testing and abdominal ultrasound, should be performed at the discretion of the veterinarian, based on test results. MRI and CT both require anesthesia, as do CFS taps. As these animals are compromised, very careful attention to safe anesthesia is a must. Many specific types of brain tumors can be distinguished with these types of advanced imaging and related CFS analysis. The goals of therapy for brain tumors are to eliminate the tumor, reduce its size, and/or eliminate secondary effects of the tumor while preserving an excellent quality of life. Therapies include palliative treatments, surgery, radiation and chemotherapy. Palliative treatments relieve pain or alleviate presenting symptoms without addressing the underlying cause. This can include the use of corticosteroids to reduce edema, control secondary hydrocephalous and, in some cases such as intracranial lymphoma, decrease tumor growth. Anticonvulsants phenobarbital and potassium bromide are indicated for control of generalized seizures. Palliative treatment can be utilized pre-operatively or as the primary treatment option. Surgery is an option if the tumor is surgically accessible and treatable with neurosurgery, with or without radiation and/or chemotherapy. The gold standard for treatment if the tumor is surgically accessible is biopsy and removal. In some cases, especially surgically-accessible meningiomas in cats, the tumor may be completely removed with an excellent long-term survival. It should be noted that, while surgery removes the vast majority of the tumor, in most cases complete margins can’t be achieved—i.e., microscopic amounts of the tumor are left—because of the close relation of the tumor to the healthy brain tissue. 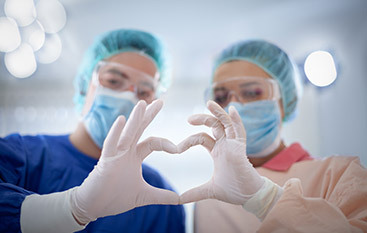 Surgery also does not eliminate the need for anti-convulsants in most cases. Radiation and/or chemotherapy are required to kill the microscopic amounts of tumor remaining. The surgery for most brain tumors is straightforward, and dogs and cats typically tolerate it well. The average hospital stay is 48 hours post-surgery. They often return to normal function at home faster than with other types of surgical treatments. 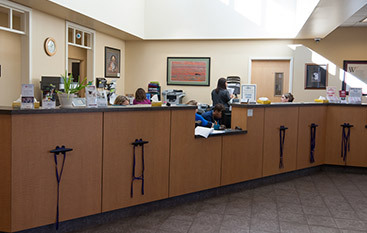 Most surgeries are handled at our Annapolis office, but if we anticipate a more complicated surgical case, we can operate on the pet at the Veterinary Hospital of the University of Pennsylvania where Dr. McDonnell has an adjunct appointment. The other advantage is that the world-class critical care unit is available if it is need post-operatively. Radiation is recommended for treatment of primary brain tumors in companion animals as a single or combination therapy. Radiation therapy seems to be best used to destroy microscopic tumor margins following surgery. Specific recommendations are made after consultation with a radiation oncologist and are based on considerations such as tumor type, location, and tolerance of surrounding tissue. Chemotherapy may consist of one drug or a combination of drugs given by mouth, intravenously or intrathecally (within the spinal fluid). Chemotherapy is usually given in cycles of treatment interspersed with recovery periods. Most drugs can be given on an outpatient basis. Chemotherapy can be used as a single therapy or combined with surgical reduction of the tumor. Chemotherapy hasn’t received as much attention as radiation and surgery in the treatment of brain tumors in companion animals, but we conducted a study in which we saw a doubling of survival rates when CCNU (Lomustine) was used following surgery for brain tumors. Above all, owners need to understand the risk and rewards of each type of treatment for their animal. If we determine the surgery is questionable or risky, we tell owners. If, on the other hand, we anticipate the surgery and subsequent treatment will be well tolerated, we provide a full picture of what can be anticipated both short and long-term. The diagnosis of a brain tumor in a companion animal does not mean the situation is hopeless. By utilizing a combination of treatment options, we can extend the animal’s life significantly, while ensuring excellent quality of life. The table above shows survival times for palliative treatment, chemotherapy, radiation or surgery as single agents for brain tumors (primarily meningiomas) in dogs. Survival times for dogs with meningiomas treated by surgery combined with either chemotherapy and/or radiation can extend the survival by 1-2 years or even longer. Cats with meningiomas treated with surgery alone have survival times that range between 24-36 months. Rechecking dogs and cats that are 5 years post-surgery with no disease recurrence is rewarding to veterinarian and owner alike.